Back in 2002, I had a friend who worked in a movie theater. Just before the official release of Harry Potter and the Chamber of Secrets he invited several of our friends to the staff’s late night screening of the movie. We all had a good time and most of us enjoyed the film. Two notable exceptions were friends who had never read the books. They didn’t hate it, but they missed a few clues and story elements that added to the experience…only as we discussed the movie after we realized their complaints all revolved around clues the film-makers had omitted. Visually, Chamber of Secrets was spot on, scene after scene was laid out perfectly in largely the same order as the book but the narrative was still missing things. By contrast, those same friends really liked the third movie in the series because it told a complete story despite being in my opinion far less faithful to the source material. The difference was in how the directors chose to adapt the books to film. The first two Harry Potter films from Director Chris Columbus aren’t bad movies and visually are as close to what I imagined as I read the books as I think they could be but they aren’t my favorite of the series. While I like movies to be faithful to the source material it is also nice to get a slightly new perspective on the story. So what does this have to do with game design? 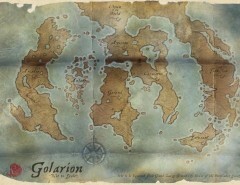 Well, when last we met, I began a discussion about adapting Golarion to other rules. That blog was mostly about why you might want to play with a different rules system. Like directors have different approaches for translating print to screen, GMs and game designers have different approaches to translating material from one game system to another. I like to call two of the most common approaches “conversion,” and “adaptation.” Admittedly, this bit of word choice is subjective and dependent on anecdotal observations but this gives us a point of reference for the discussion. Conversion typically involves trying to maintain a 1:1 parity between the two rulesets to emulate the original experience. Recreating the play experience of one game as closely as possible in the second. This often manifests in the allocation of powers the PCs can wield. Every spell and feat of the original system needs a correlating ability in the new destination system. This is what I think Chris Columbus was shooting for in those first two Harry Potter films, 1:1 parity from chapter-to-scene. Adaptation, on the other hand, tries to emulate the by focusing less on the details matching rule-for-rule and instead moves towards broad strokes. Pathfinder’s Vancian wizards prepare spells each day allowing them to throw fireballs, launch magic missiles, and summon monstrous allies. You don’t need a rigid spell list to give players those same sorts of abilities…but you may have to reimagine how preparing spells works mechanically in your game. It’s this sort of reimagining that helped to make The Prisoner of Azkaban work better for my friends than Chamber of Secrets. You can use either of these approaches you like and it doesn’t even have to be “either-or,” there is a whole range of approaches between the two extremes. These days, I tend to design more on the adaptation end of the spectrum but in the past, I leaned hard towards 1:1 conversion. Neither is right or wrong but I’ve discovered that adaption often lets me design to the strengths of the destination system without becoming overwhelmed. So, to give you an example of what I mean let’s talk character race or ancestry. Character ancestries are a central part of fantasy RPGs and they’re often handled in a very similar fashion. Genesys’s species rules are certainly similar enough to Pathfinder’s that it will be easy enough to adapt Golarion’s races to Genesys. 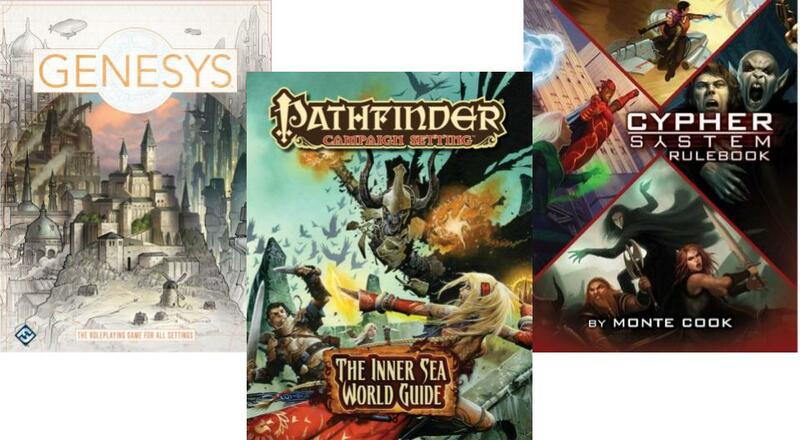 As an added plus Genesys has a chapter on fantasy gaming that includes a few sample races. So first off, humans are the baseline in any RPG I’ll leave humans alone no point in remaking humans. 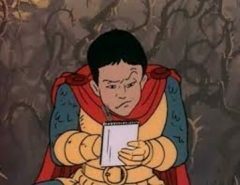 Looking through the other species in the fantasy chapter I find Dwarves, Elves, and Orcs. Now, rather than a half dozen or more racial abilities each Genesys species only gets two or three special abilities which typically includes a single bonus skill rank. So there will be some serious pairing down of racial abilities in this conversion. It is also worth noting that while each species is recognizable in the context of typical fantasy tropes, they are not exact fits for Golarion. 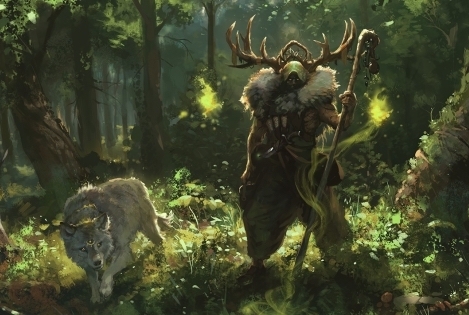 Looking at the dwarf, the starting characteristics (ability scores) match up pretty closely with Pathfinders dwarves as do their special abilities: Dark Vision, and Tough as Nails (this is an ability that makes it possible for a dwarf to minimize a potentially disabling critical injury once per session at a cost.) 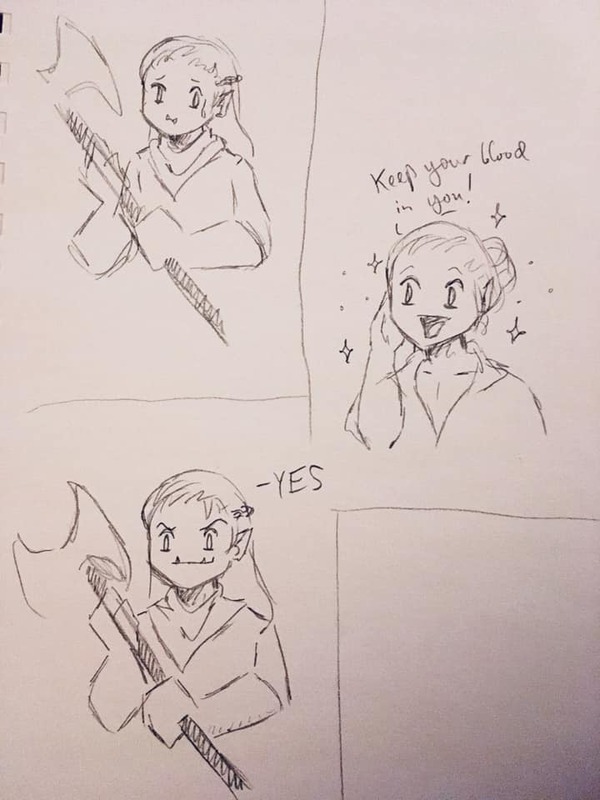 All in all, I’m happy and I’ll leave dwarves alone. Certainly, there are sacrifices (no more bonuses against dragons, giants, and goblinoids) but much of that can be restored with new Talents (sort of the Genesys version of Feats). Now while the dwarf worked fine as is, the elves and orcs were another story. Each lacks some features that are too hardwired into the setting to omit such as low light and darkvision. Elves gained an ability called Nimble that makes them harder to hit and Orcs received an ability called Battle Rage which is rather like Power Attack sacrificing accuracy for damage. Neither of these species requires a lot to rework basically add in missing senses and adjust the starting experience accordingly. Elves are missing their traditional resistances so I may decide to replace Nimble with an immunity to sleep and some sort of resistance to charm effects. Then I’ll need to write up any additional ancestries I think I’ll need. Now the entertaining thing here is I don’t need to stick to the races from the Pathfinder Core Rulebook. 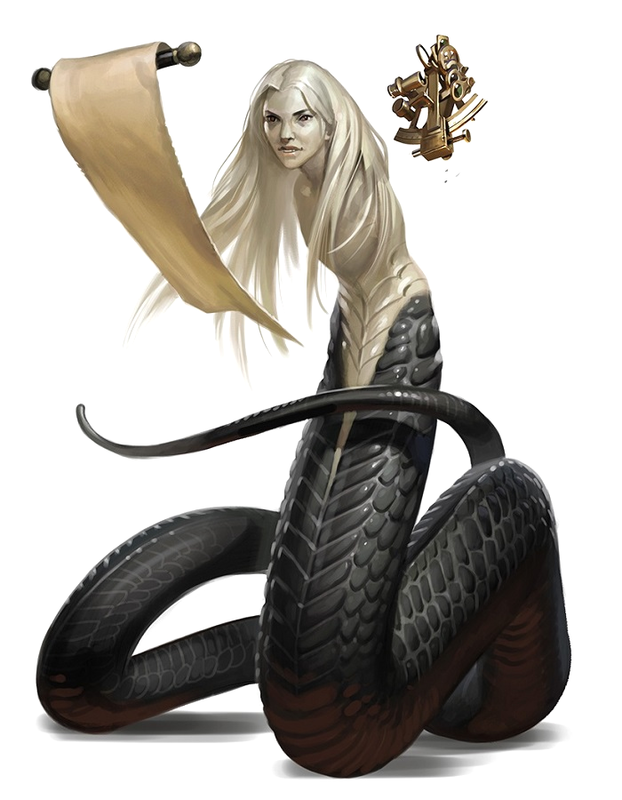 I don’t even have to stick to normally playable races if I have a player who’s been reading the Pathfinder Tales line and is inspired by Celeste the lunar naga from Chris A. Jackson’s pirate novels I can create a playable lunar naga species with that player in mind without unbalancing the game. Adapting ancestries to the Cypher System is a bit different. Unlike many RPGs, ancestry isn’t really part of the system. 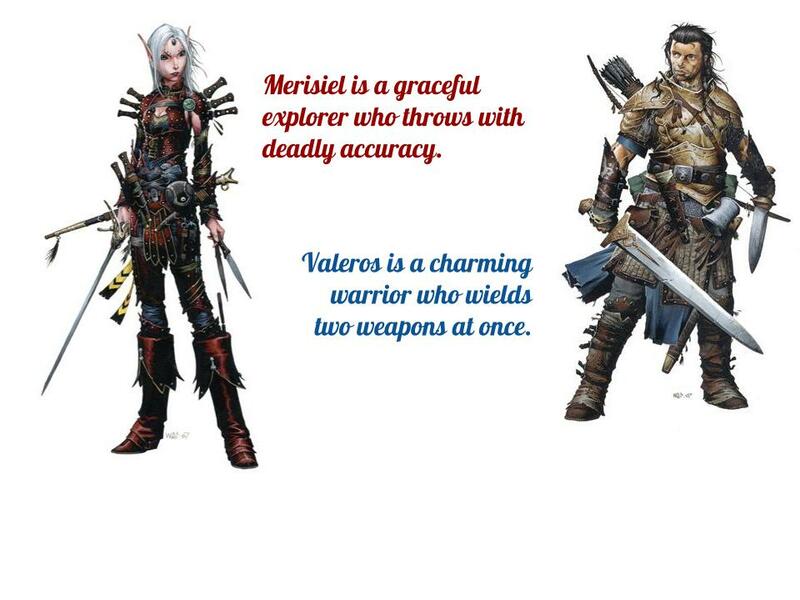 When you make a character in the Cypher system instead of choosing a race and a class like you do in Pathfinder you complete a sentence such as Valeros is a charming warrior who wields two weapons at once. Breaking that down the sentence we can see the individual parts are: [Character Name (Valeros)] is a [Descriptor (charming)] [Type (warrior)] who [Focus (wields two weapons at once)]. So long as you are flexible you can create a wide variety of characters without worrying overmuch about a character’s ancestry. For example, say I wanted to make Merisiel I could go with a graceful explorer who throws with deadly accuracy. If, however, I want to make elves and dwarves mechanically different from humans the rules suggest using the racial descriptors. A rule suggestion I’m not overly fond of because if I use that rule every human player has 50 descriptors to choose from but a player who wants to play a non-human character only has their racial descriptor to choose from. In two weeks, I’ll present sample ancestries for both Genesys and the Cypher System and talk a little more about how I settled on the options I chose. This blog post uses trademarks and/or copyrights owned by Paizo Inc., which are used under Paizo’s Community Use Policy. We are expressly prohibited from charging you to use or access this content. This blog is not published, endorsed, or specifically approved by Paizo Inc. For more information about Paizo’s Community Use Policy, please visit paizo.com/communityuse. For more information about Paizo Inc. and Paizo products, please visit paizo.com. I have a setting called Bad Blood about a team of monster-blooded humans (Dhampyr, Skinwalkers, Changelings etc) that I’ve run using Pathfinder, Fate, Cypher System, I’m currently working on a Dungeonworld hack for it too. It means every character has an additional bit of uniqueness. Each ancestry providing a different ability or edge. You were a little ahead of me here. Today’s blog I talk about ancestry as Flavor.